Muntadas. This is not an Advertisement. Urban intervention. 1985. Muntadas. Media Ecology Ads. Video. 1982. In 1926, the Belgian painter, René Magritte, created his celebrated work La Trahison des Images, in which he placed, beneath the more or less conventional representation of a pipe, the words, “ceci n’est pas une pipe” (this is not a pipe). The meaning, at first glance rather simple, was explained by the artist himself: “Who could smoke the pipe in one of my paintings? No one. Therefore, it is not a pipe” (1). The elementary nature of the reasoning does not hide, however, Magritte’s intentional criticism of the medium -the pictorial representation- and its conventionalisms; for example, that which states that the image is a translation of reality. In an essay on Magritte (2), Michel Foucault broadens the critical perspective of the work, transporting it to the sphere of cultural convention which sustains the relation between an image and the text that name it, the correspondence produced by the context –the contiguity of both elements- or the paradigm of the image/object identity. 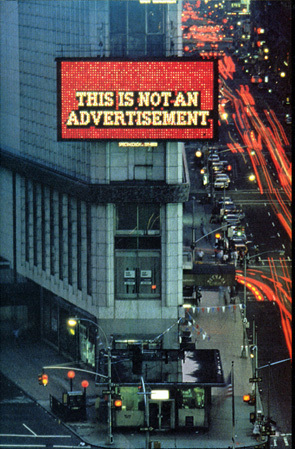 In 1985, invited by the Public Art Fund Inc. to present a work on the luminous screen Spectacolor, of the Allied Chemical Building in Times Square (New York), the Spanish artist Muntadas, created This is not an Advertisement, a 50 second computer-generated spot, headed by the text that gives title to the work, and which was repeated every 20 minutes inserted among a series of advertisements (3). The reference to Magritte would be no more than incidental if it were not for the fact that in the mechanisms employed by the Belgian painter in his work, we can find certain keys for gaining access to the work of the Spanish artist. Effectively, they are simple procedures -appropriation, selection, isolation, confrontation, and others which shall be analyzed further along in this essay- which permit Muntadas to carry forward an equally radical critique with respect to the environment in which he works -the artistic as well as that of the mass-media- and its representations, its relations to mediatized reality and to the reality they produce -which Muntadas calls the Media Landscape- the sites in which these representations are generated or the contexts in which they acquire value or are resignified. This is not an Advertisement is an example of the product of these reflections. The medium and the context are determinants for the establishment of the paradox which momentarily subverts the public space, making manifest its position in the urban context. Confronted with the “non-advertisement” in the commercial series, the casual viewer is induced to experience a breach in the homogeneous block of commercial announcements. This announcement which intermittently denies itself as such, disturbs the communicational norm of the screen, inserting a foreign element into its mercantile functionality. But at the same time, it is the work which confers upon itself the commercial connotations of the media and the environment; here, Muntadas also puts into question the essence of the contemporary artistic work, so often drawing so near to commercial logic and strategies. The investigation of the media and the mediations has been, for years, a distinctive feature in the work of Muntadas. His attraction to intermediary spaces and situations has often been molded into the titles of his works, such as Between the Lines (1979) or Between the Frames (1983-91); at other times, in opinions expressed with respect to his own work: “I don’t think in one piece, but in the discourse between pieces”(5). Credits (1984) is a video composed of 25 minutes of opening and closing titles from different television programs; a parade of names and words in standardized typography, voices in off, elevator music, applause, which his own creator has qualified as TV wallpaper. But in its apparent banality, Credits points to the production context of the television discourse, the number of people and specialized tasks implied in the preparation of a product that often presents the appearance of spontaneity and improvisation. The focus on the intermediaries between the product and its public in Credits, approximates this work to Between the Frames, in which Muntadas analyzes –albeit from a different perspective- the chain of mediations between the artistic work and its audience. The credits occupy the space that mediates between the body of the program and the commercials, producing a separation and differentiation between the two. But contemporary television critics have made an issue of the virtual lack of differentiation that exists between television programs and commercial messages. The advertising companies place their ads on channels with higher ratings, which can only be obtained through skillful programming: the programs are the commercials through which television promotes itself. If, from a commercial perspective, the differences are increasingly minor, this is also true from a formal or stylistic perspective. As David Antin states, “there is no fundamental distinction between commercial and program, there is only a difference in focus and conciseness, which gives the thirty-second commercial its appearance of much greater elegance and style. Both commercials and programs are assembled out of the same syntax: the linear succession of logically independent units of nearly equal duration” (6). The only space that does not appear to share either the mercantile or stylistic commercial alignments is precisely that of the credits, which may account for the speed with which they move over the screen –often illegibly- or the lack of importance attributed to them by the viewer, who often takes advantage of the opportunity to divert his attention from the screen. This view of what the public “doesn’t see”, or of the mechanisms which, without being absolutely hidden, are maintained beyond the awareness of the audiences, characterizes in large part the works of this artist. Through a similar process of appropriation and decontextualization as used in Credits, Warnings (1988) joins together the warnings that precede home-movies. The almost invariable reiteration of the text that warns/threatens of “severe civil and criminal penalties...” for violators of copyright laws highlights the legal and economic framework in which the work of art is exhibited, a framework which is normally ignored in terms of its aesthetic value. This shift toward the fringes of the discourse and its frames of reference produces an accompanying shift in the way the discourse and its frames of reference are captured in the specific context of the mass-media. Both Credits and Warnings participate in this process of media deconstruction -which is another of the great constants in the work of Muntadas- producing what Pascal Bonitzer has referred to as the deframing (décadrage) (7) of the coordinates which orient the text in a determined sense. The rescuing of what is minor or apparently insignificant subverts the textual hierarchies, calling attention to the logic of the system and the tensions between its terms. As pointed out by Jacques Derrida “to deconstruct is above all, at a particular moment, to reverse the hierarchy” (8) and this may be accomplished by “putting into practice an inversion of the classical oppositions and a general shifting of the system” (9). Watching the Press/Reading the Television (1981) is based on, as the title suggests, inverting the forms of perceiving two related information media. To this end, Muntadas fragments the images of both media, thus avoiding the interpretive approximation of the informational content, and compels the viewer to pay attention to the elements which convey the information. Block letters, photographs, drawings, page design, all emerge as the “raw materials” of the press; the frame of the monitor, the horizontal lines composing the image, the pixels, the electronic noise, are the correlatives with respect to television. The appearance of the monitor’s frame in the image lays bare the fragmentation that the media produce with respect to that which is mediatized, as well as that which Muntadas has exercised with respect to those media. The apparent objectivity of the news item is thus confronted with the focus that establishes the possibility of a different and personal interpretation, a space that is open to a subjectivity that Muntadas returns to on repeated occasions, and which is another line of investigation towards which his work is oriented. The fragmentation Muntadas uses in order to point out particular aspects of reality is clearly a formal strategy that momentarily shifts the viewer’s attention away from the complete unit and focuses it upon one of its component parts. It is used as a way of searching out new ways to give new sense to the habitual, which locates it at the antipodes of that which, according to Gilles Lipovetsky, destructures the postmodern individual, casting him into the void of indetermination (10). Fragmentation in the works of Muntadas does not dissolve point-of-view. On the contrary, it has a central position in his aesthetic investigations, although it may appear to have been shifted away from that which would seem to objectify the situation. In one famous essay (11), Martin Heidegger established that the characteristic feature of modernity is having appropriated the world as a “picture”, converting it into what is called “objective”. Technology performs a fundamental role in the construction of this image, being the device designed to “frame” reality, driving it into the realm of the measurable and subject to laws. Objectivity is the construction that emerges as the product of this movement by which man encroaches upon his surroundings, forcing it to conform to a representation that is based on a rational and essentially human order. The inversion of the reading act proposed by Watching the Press/Reading the Television, shifts the interpretation away from the contents and towards the media fragment. Where information technologies “frame”, Muntadas “deframes”, producing a disturbance in the legitimacy of media information and, at the same time, leaving his mark on it. It is interesting to point out how the agents of Muntadas’ personal intervention in his works are, in general, appropriated, “impersonal” images, not stylistically attributable to the artist. Nonetheless, they are the elements with which Muntadas constructs his particular point-of-view, that he has baptized as critical subjectivity: “with the concept of critical subjectivity I try to refer to the critical dimension that can spring from an individual/personal practice. The personal vision acts, then, on a level of observation and indication of the facts, situations and phenomena that cause interest, concern and worry, and, in the face of which, expresses disagreement” (12). Critical subjectivity is established on the basis of a conflict with the object of observation. Contrary to any type of solipsism, critical subjectivity arises from the tension that characterizes the binomial subjectivity/ objectivity, whatever the manner in which the two components of the pair are defined; moreover, these definitions are precisely what constitute the key point in question. Between the Lines refers to the role that the journalist plays in the selection and preparation of the news, and to the construction of meanings that operate in the particular manipulation of the basic informational material (13). The video begins with an interview between the mayor of Boston and an organization composed of the leaders of various minority communities, whose original duration of three hours has been condensed into a television “compact” of one minute and forty seconds. Through the images, we witness how the news is evaluated in terms of its “television potential”, and the editing and recording of commentaries that will accompany the selected segments. From the dialogue with the reporter responsible for editing the program arises considerations of how the news should be presented as a function of the media and the public to which it is addressed. Between the Lines focuses on the subjectivity of the reporter but also exposes the preconceptions that direct her activity, and although the subjectivity of the reporter constructs the “objectivity” of the information formulated as a function of the specific public to which it is directed, it is also certain that the audience determines to some extent the ways in which that subjectivity should be exercised. This perspective breaks away from the unidirectional and simplistic schemes according to which determinism acts from a supposedly active pole towards another supposedly passive pole, exposing the complexity of the mechanisms that bring about informational objectivity in the media, the result of a contest on the terrain of intersubjectivity. If Between the Lines investigates the role of subjectivity in the formation of the media image in the areas of production, On Subjectivity [About TV] (1978) investigates this from the perspective of the consumer of these images. The television and its programming become the pieces of a mosaic governed by the disposition of a critical access to the functioning of the medium rather than to its informational content. The video blends images taken from regular television programming with other specially recorded images, laying bare the physical and conceptual context in which the reception of the audiovisual flow of TV is produced. To this end, Muntadas resorts to a series of Brecht-like procedures that transform the reception into a permanent commentary on the process: he presents a switched on monitor and its surrounding space (embellished with the echo of sound in the space), confronts the images of other monitors, incorporates the commentaries of people who give opinions on their experience and position in relation to television, demonstrates the process of producing the image (the artist himself appears recording the tape), and introduces textual notes or commentaries (including, for example, the dictionary definitions of the words “objectivity” and “subjectivity”). The modification of the reception context produces an estrangement of the situation, generating the critical distance necessary for analyzing the mechanisms through which daily television reception takes place. The function is akin to the effect of estrangement that Bertolt Brecht sought in his critical dramaturgy and that, according to his own words, “consists in successfully transforming that which one wishes to express, and to which one wishes to call attention, from an object that is ordinary, familiar, and immediate, into something special, remarkable and unexpected. One strives to obtain, in some way, that what is inferred is ‘not understood’, but with the exclusive objective of becoming more comprehensible. In order that the known really be known, such that it should be known ‘consciously’, it must not occur unnoticed; we must break away from the notion that the object in question does not need clarification. For being insignificant, modest or popular, it will now receive the stamp of obsolescence. A simple effect of estrangement would be produced by asking someone: did you ever stop to look at your 0watch?” (14). A deeper analysis of On Subjectivity [About TV] reveals certain considerations about the mediation of reality: confronted with the omnipresence of the TV image, the world is becoming a second artificial universe (an image from “Star Trek” in which the space voyagers arrive on a planet that duplicates the earth is undoubtedly the most successful metaphor), where spatial-temporal coordinates tend to be reworked according to different laws (as in the case of time during the analysis of sports events, in which movements are shown in reverse and in slow motion). The surrounding space acquires the characteristics of a landscape dominated by the media translation which Muntadas has called the Media Landscape. The media landscape emerges as a manifestation of reality filtered by the media (15). It is formed by audiovisual representations of this reality and thus includes components that are perceived both spatially and temporally. As an integrated environmental construction, it possesses its own vital cycle and its own ecology, including degrees of pollution, as would be expected of an eminently technological product. Media Ecology Ads (1982) refers directly to one of the elements that characterizes the media environment: its peculiar sense of time. It is composed of three spots that combine an image “in real time” with an electronic text in movement. Fuse, the first of these spots, accompanies the image of a candle that burns horizontally, in silence, with a reflection upon time and language. “Language is vitally concerned with time... with tenses... silence itself is a form of speaking... just like the blank spaces between the marks of the printing are as much part of the printing as the letters themselves” reads the text of Sang Tan that accompanies the image of combustion. From this reflection appears the impression of time as part of everyday life, but also intrinsically incorporated into the culture and the media through which man communicates with those around him; its essence is as primitive as the light and fire in the image. Timer focuses on the image of an hourglass. To the sides of the screen fall, vertically, a flow of words. The sound is composed of the tic-toc of a clock and the voice of the narrator who gives the official time over the telephone. Here, time appears as an object of measurement; this, however, is effected through procedures that are incompatible with each other. The fragmented experience of a time established in an imprecise manner upsets the very sense of temporality. The measurement transforms time into something organizable, manipulatable; the point of reference ceases to be individual experience in order to install itself in alien instruments intended to homogenize its internalization. Finally, Slow Down introduces a third pivotal element of the media ecology: speed. With speed, time becomes a continuous, unstoppable flow, to the point of denying all possibilities for observation. The image is that of a faucet from which falls water; to each side, two lines of text accompany the stream of liquid. The speed at which the text passes over the screen not only impedes its being read, but also negates the possibility of its being referred to as information. “The speed of light –sustains Paul Virilio- will limit the reading of information and, consequently, what is most important in computer science will be that which is presented on the screen rather than that which is saved in the memory” (16). In the same way that the media landscape generates its own time, its space reveals the consequences of the circulation and propagation of images. The limits between physical places and their media translation tend to become weak and imprecise, producing two categories of apparently opposed media spaces: on one hand, “neutral” spatial constructions and representations devoid of specific historical and/or topological references; on the other hand, spaces that are overdetermined by their representations and that appear to have a parallel life once inserted into the rhetorical discourse of the media. The tendency of television to neutralize the characteristic features of its cultural environment of production in view of an internationalized image, is one of the principal observations of Cross Cultural Television (1987), a work created in collaboration with H. Bull. The video is composed of television footage from various regions of the world. The title should be understood as ironic, in the sense that more than being a result of a cultural cross-over, the video appears to be the product of the systematic elimination of signs that would indicate the belonging of its protagonists to any specific cultural community. The work is composed principally of news programs, one of television’s genres par excellence. Some of the initial titles reveal the intention of the artist: “this is a videotape about the cosmetics and packaging of television...” reads one title, immediately before presenting an entire series of sets, hosts, program previews or fragments, poses in front of the camera, and informative clips that are so identical from one country to another that they seem to have been taken from a TV instruction manual. 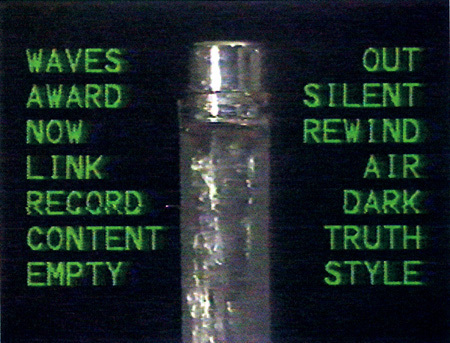 Inserted throughout the video, some titles delimit and/or frame the images with commentaries that, in most of the cases, refer to the underlying mechanisms of the functioning of the television discourse: speed-time-money, media-colonialism-star, subliminal-format-value, seduction-generic-spectacle. Nonetheless, in spite of so much uniformity, something remains absolutely irreducible. Beyond the similarity of the maps that open news programs, the anchormen and the special effects of the meteorologists on duty, something is aroused every time a newscaster says “Good evening” or when the screen is animated by a language, or even an alphabet, that is unrecognizable. In the contrast established through the confrontation of material of such diverse origins, Muntadas does not limit himself to just showing the uniformity of the television discourse, but, rather, he denounces it as a construction. While in Between the Lines the objectivity of journalistic information appears as a result of a conscious construction, in Cross Cultural Television it is the “neutrality” of the informative environment from which the news is propagated that is denounced as the product of a similar process. The features of identity appear to be shattered in this plot of media artificiality; nevertheless, in the landscape that is sculptured over the surface of the media, it is possible to construct identities. It is all too well-known that the media are, above all, mystifiers, and their capacity to imaginarily configure a place is only comparable to their power to ensure that whoever lives under their laws should accept that image. Marseille: Mythes et Stéréotypes (1995) is the result of a project whose objective was to investigate the representations that traverse and define the space in which a community of inhabitants live and interact on a daily basis. To this end, Muntadas proposes the approximation to two different types of imaginary constructions: “1) the view and opinion of the inhabitants of Marseilles with respect to Marseilles, its internal representation: the myth, and, 2) the view and opinion of outsiders with respect to Marseilles, its external representation: the stereotype” (17). Through the usual procedures of appropriation, selection, and confrontation, Muntadas designs a work in which the image created by advertising, literature, music, film, television and the media in general converge. However, as is also common in his work, this convergence is not necessarily passive; on the contrary, it is almost impossible to articulate -abandoning from the start all unifying pretensions- the pieces of this puzzle which dispute between the extremes of what is good, bad, and what lies beyond. City of drugs and illusions, paradise and prostitution, museums and organized crime, economic power and alcoholism, Mediterranean port and urban violence, Marseilles does not escape from the contradictions that submit it equally to criticism and mystery. Because, in spite of everything, in no other space does the city of Marseilles encounter its existence so clearly than in the myths and stereotypes that are built around it. There is probably nothing more akin to its image than its lack of reality, but neither is there anything more intrinsic to it than its capacity to mold the imagination. Marseille: Mythes et Stéréotypes demonstrates that the media are not limited to the creation of non-places (18); on the contrary, the media are also capable of generating relational spaces that are linked to representations in which identities are also defined. On the other hand, although the media are vehicles for imaginary representations, this does not imply that they are always and necessarily incorporeal. In many of his works, principally in the installations, Muntadas has worked on architecture as mass-media, as space in which information and social values circulate. In these works, Muntadas refers to public spaces (Stadium, City Museum) or places in which discourses, events or situations with social repercussions are generated (The Board Room, The Press Conference Room). The introduction of social space conducts these works toward more specific reflections, based on the interactions that are established between the formal and conceptual meanings conveyed by these spaces which are constituted by the media and the public to which they are addressed. The analysis necessarily becomes political inasmuch as it must attend to the creation and distribution of certain contents that circulate within the public arena, and inasmuch as a profound analysis implies orienting the view towards the underlying mechanisms functioning in these spaces. Questions such as the composition of the audiences, their manipulation, the definition of spaces of power or strategies of control, inexorably emerge at the moment of evaluating the conditions in which communication between the centralized political-economic sectors and those who do not pertain to these sectors take place. In Stadium (1989), the interest is focused on an archetypal space used for mass gatherings. With roots embedded in antiquity, the architectural space of the stadium -which previously had been the arena, circus, amphitheater, etc.- has undergone very few changes over history, either structurally or functionally. Undoubtedly, it is one of the oldest examples of space designed for multitudinous events and is perhaps the origin for one of the primordial functions of the mass-media: the creation of audiences. Stadium investigates two aspects of this function, aspects related to the architectural space and aspects related to the spectacle performed therein, both being designed for the control and manipulation of these audiences. As already demonstrated by Michel Foucault, architectural design fulfills a fundamental role in the appearance and consolidation of disciplinary societies. “The exercise of discipline entails a device that coerces by trick of the eye; an apparatus in which the techniques that permit seeing induce effects of power and where, upon rejection, the means of coercion become clearly visible to those upon whom they are applied” (19) Through architecture, an entire series of hierarchies is articulated which is maintained due to an unusual development of the techniques of control over an ever-increasing number of people. The collective spaces accompany this transformation which demands a reformulation of the public space through “an architecture that is no longer created simply to be seen (the ostentation of palaces), or to guard exterior spaces (the geometry of the fortresses), but, rather, to permit an articulated and detailed interior control –to be visible to whoever finds themselves inside”(20): To enter these spaces is to enter into the environment of relationships defined in those terms. The control and manipulation of audiences is not only physical: it extends into the spectacle which internalizes representations, meanings, and behaviors. Nor is the coercion only repressive. “If power were only repressive -Foucault reasons in another text- if it did nothing more than to say ‘no’, do you really think that it would be obeyed? What gives power its effect, its acceptance, is simply that it not only has weight as a force that says ‘no’, but it really puts itself across, it produces things, it induces pleasure, it forms knowledge, it produces discourses; it is necessary to consider it as a productive network that traverses the entire social body more than a mere negative instance whose goal is to repress (21). The use of “indicative” words –a procedure close to that carried out by the image- permits Stadium to direct the attention toward the invisible mechanisms that underlie the massive manifestations guided by political action or entertainment. The text indicates the most evident aspects: winners, losers, activity, passivity, fantasies, promises, triumphs, failures; together with more subtle mechanisms in which are based the more clearly coercive character: manipulation, emotion, passion, order, dreams, values. In addition, Stadium includes one of the more elaborate sound-tracks in the work of the artist, created by a collage of public events recorded in different stadiums: concerts, political rallies, recitals, religious demonstrations, and sports events, indicate the wealth of possible variations, highlighting, as in the case of Cross Cultural Television, the features that convert the spectacle into an event that is always the same and, at the same time, always different. Because Stadium is not an exception in the work of Muntadas and, as such, does not ignore that his arena is effectively a field of continuous tensions in which meanings are constantly negotiated and reformulated, and where the same tensions that characterize the entire relationship between the individual and the public come into play: obectivity/subjectivity, public/private, transmission/reception (interpretation), personal/collective, reality/media evento (22). A curious case of coercion by determined powers over the individual is the event that gave origin to S.S.S. , Muntada’s episode in the collective work, Media Hostages (1985). The episode takes its name from three words: silly, sad and scary, and refers to an advertising campaign in which prizes were awarded to those people who succeeded in living for the longest length of time atop a billboard (23). The “living billboard” had many unexpected guests over its many long weeks, generating varied opinions among the inhabitants of Sunset Boulevard (Los Angeles), where the event was staged. As in the case of other works (On Subjectivity [About TV], Between the Frames, etc.) Muntadas turns to the opinions of the people -in this case, the passersby- to sound out the repercussions of the event, precisely among those to whom the event was directed. The opinions vary from rejection to indifference, including those who considered the ploy to be something entertaining or “typically American”. 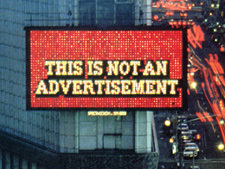 In contrast to the rest of his production, Muntadas decides here to add his own opinion to the chorus of voices, “I look at the image of that billboard and behind it I feel three S’s: silly, sad, and scary, like many other things that take place in this country via the extensive use of techniques and methods of manipulation, especially in economics and politics”. The image shows, in a way that we could characterize as ferocious, the scope of economic manipulation over the very lives of the people. In some sense, the “living billboard” is not very different from the aggressive advertising strategies to which we are accustomed; perhaps -but only perhaps- it is simply a matter of being more “physical”. But its mere existence lays bare, in a visible and enduring way, the scope of economic coercion in consumer societies where, as is stated in one of the lines of text in the video, “anyone with money can launch his own career in business, religion, politics and other games”. In this sense, S.S.S. is a severe criticism of a society such as North America, a society that is founded upon the paradigm of freedom of choice; as a counterpoint to this illusion, these media hostages appear. The criticism is elaborated upon in the second segment of the video in which the contours of the billboard are transformed into a map of the United States upon which are superimposed various textual indicators: success, consumerism, media hype. Consumer societies sustain hierarchies based on capital, and one of the characteristic stamps of economic power is ostentation. Regarding the forms of ostentation, an entire series of representations is generated that consolidates and legitimizes its functioning, perpetuating it through objects and images transformed into symbols of power. In this context and considering the specific situation of the city of New York, Muntadas created The Limousine Project (1991), an urban project that consisted in circulating through the streets of New York a limousine upon whose polarized windows was projected, from the interior, images and words related to economic power: among the images were jewelry, arms, earnings charts; among the words were power, racism, earnings, corruption, silence, and status. Towards the end, the voice-in-off of the theoretician Michelle Wallace, reflected upon the relation between this power and its representations in our society, noting that “art as well as advertising are both concentrated in the hands of the same interest groups”. The political-economic backdrop that underlies the artistic universe occupies a central position in one work that demanded nine years of production time from Muntadas. Between the Frames (1983-1991) is a systematic attempt, over eight chapters, to explore the instances that mediate between the artistic work and its public, through an analysis of those agents who occupy the position of intermediaries in this context. The initial text of the series clearly and synthetically indicates this proposal: “Art, as part of our time, culture and society, shares and is affected by rules, structures and tics like other economic, political and social systems in our society. Between the Frames is a series of eight chapters about people and institutions located between the artist and the audience”. The chapters are divided as follows: the dealers (ch. 1), the collectors (ch. 2), the galleries (ch. 3), the museums (ch. 4), the guides (ch. 5), the critics (ch. 6), the media (ch. 7), and an epilogue (ch. 8) with reflections by the artists themselves on each of the different instances. Attending to the particular context in which the work was conceived -North American society- and to the artist’s own thinking, it is not surprising that the list is headed by the three economic instances of the process. Nonetheless, Between the Frames does not attend exclusively to the situation of art in the United States. It is an investigation that attempts a global vision of the system in which the different art institutions are articulated, although limited by the historical moment in which the interviews were carried out, which results in a final version (of 4 hours 37 minutes in length) that is a panorama of the artistic situation during the decade of the 80’s. As is customary in many of Muntadas’ works, Between the Frames is an extremely complicated work articulated through a markedly simple composite procedure. All of the chapters maintain a relatively similar structure. They are constructed, principally, through a confrontation of opinions expressed by the selected representatives for each stage in their own original languages -a total of 160 participants speaking in English, Spanish, Italian, French, Catalan, and Portuguese- preceded by the dictionary definition of the term that gives title to each chapter, and accompanied, as a leit-motif, by an image that functions as a reserved visual commentary or counterpoint by the author (24). As the title anticipates, Between the Frames responds to the attraction felt by the artist toward the possibility of working in the intermediate spaces between different practices or sectors committed to systems within the social sphere. Similarly to other such endeavors, there rise to the surface in this exploration the ambiguities, contradictions and indeterminations that underlie the system, wherein roles and rules are subjected to permanent changes, reformulations and redefinitions -thus requiring that he limit his considerations to the particular historical moment in which the project was carried out. Throughout the series the art circuit is projected as an integrated system on an international level, based in the same economic and power structures that characterize other contemporary social and cultural institutions, although -as occurred in Cross Cultural Television- the uniformity of the system does not obscure its particular features. Internal tensions arise between the opinions of those interviewed and their functions within the system, as well as between their personal visions of their own situations in the system and the positions they effectively occupy. Again, the subjectivity/objectivity polarity emerges, but this time in relation to the very medium in which Muntadas carries out his artistic practice. And this places Between the Frames at a key moment in the work of the artist, to the point of giving meaning to all of his critical production. Because it is not possible to carry out a serious analysis of the spaces from which the audiences are constructed and manipulated, or their representations defined, without attending to the central position in this process occupied by the art institutions and to the particular space in which the artist must operate. From this perspective, critical subjectivity acquires its most complete significance, rendering Muntada’s work not only a reflection on his artistic practice, but also on his own position in the overall scheme. Although Between the Frames makes special reference to the situation of contemporary art, it is true that many of the practices to which art is found to be linked are not exclusive to its present situation: Stadium makes reference to many of these practices from a broad historical perspective. Nonetheless, Muntadas’ work is directed toward a relatively specific context, capitalist society and its derivations: industrial society, consumer society, media society. In 1995, Muntadas was invited, along with other artists, to create a work based on the work of the Dutch film-maker, Joris Ivens. From this invitation emerged La Siesta/The Nap/Dutje (1995), an apparently atypical work in the production of the Spanish artist. The first striking element in La Siesta/The Nap/Dutje is its frank narrative character: a man reclines on a sofa holding a coin in his fist in order to keep from falling asleep. The images of a reverie attack him: they are images from the turn of the century, the cities, the factories, the newly emerging working classes. Slowly the images acquire another tone: the workers protest, there are demonstrations, repression, nazism, war, destruction. Defeated by the dream, the fist opens and lets the coin drop; it rolls into a drain and disappears. Although it is true that the narrative essence of La Siesta/The Nap/Dutje is clearly distinct from the rest of Muntadas’ work, this difference tends to be mitigated when we examine the component images. The selection of documentary fragments by Ivens are not arbitrarily ordered; on the contrary, they are a precise chronicle of the emergence and consolidation of capitalist society. In just a few minutes we bear witness to its most outstanding achievements as well as its most atrocious consequences. It is then that La Siesta/The Nap/Dutje encounters its place among the works of the artist. The images describe the conformation of the specific context in which the rest of the production is sustained, “appropriating” -and here we find a recognizable Muntadas stamp- the images of another artist and adding a final, very personal, commentary -another unmistakable Muntadas feature- the coin disappearing down the drain, the symbol of the circulation of capital and, perhaps, its destiny. In the four versions of Political Advertisements (1984, 1988, 1992, and 1996) and the three versions of Slogans (English, French, and Spanish, 1986/7), it is the mechanisms of marketing and advertising that are placed under examination. With an orientation towards sales and promotion strategies of “products” -in the first case, presidential candidates and, in the second case, commercial objects- they also constitute an analysis of the forms of generating opinions and necessities in consumer societies. As in Marseille: Mythes et Stéréotypes, where we witnessed the imaginary construction of a city, in Political Advertisements, we witness the transformation, via the image, of political candidates into consumer products. The chronological ordering of the advertisements lays bare the increasingly aggressive nature of political promotion, where the jingles or simple declarations of principles, are replaced by attacks on the behavior of rivals, or appearances on entertainment programs and viewer spaces. Political Advertisements is a series on the cosmetics of the media -similar to Cross Cultural Television- but, at the same time, it is an analysis of the procedures upon which are based contemporary politics: promise, aggression, lie, superficiality, winning at any price, destructive criticism. Over the course of the period covered by the four parts in the series (1956-1996), it is only the candidates and the amounts of money invested in the campaigns that change, because, in all cases, there is a consciousness that what guarantees an effective campaign is media presence. It doesn’t matter how, or in what form, because what is important is not leaving the spotlight of public opinion vacant, that is, maintaining access to the position of privilege in the fourth power. The result is that there virtually doesn’t exist any difference between the image of one candidate and his rival, inasmuch as the campaigns are not based on the respective political platforms -assuming that these were really different- but, rather, in the same drive to create an image that reaches and convinces the greatest number of people. As in Between the Lines, it is the perception of the public and its preferences which determines the message, not the material –ideas, projects, values- that should be used in the communication. Orienting -when not “creating”- the preferences of the consumer, is undoubtedly the principal objective of all marketing strategies; it is the objective towards which all their conceptual and formal procedures are directed. Slogans focuses on the particular construction of the phrases that advertising campaigns sustain by means of an extreme approach to the elements that permit construction of their message. 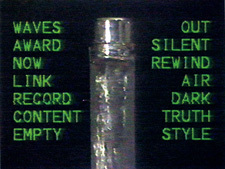 The video is structured on the base of a reiterated procedure: first, the slogan is extracted from its context and placed in another -a smooth background in E/Slogans, an artificial landscape in Slogans, the same elevator music in both; a second movement extracts the key word for the advertising strategy, the one upon which the effectiveness of the message is based; finally, a third approximation uncovers the digital “substance” that underlies the words. Muntadas moves from the message to the medium, but he does not stop there. The electronic substance gives the insubstantiality of the medium away but, at the same time, functions as a metaphor for the conceptual void to which the words are submitted by dint of its continuous use in advertising. Like the product itself, the language is transformed into an image that strives to attract, losing its semantic value in order to produce an immediate effect on the potential consumer. All the insistence on mediated situations revealed by Muntadas’ work as a whole is at the same time a profound analysis of the materials and procedures through which they occur. His originality resides in the fact that his analysis is oriented not only toward the formal constituents of the media, but also toward the determinations that arise from the particular socio-cultural context in which he operates. This perspective is what makes understanding Muntadas’ work possible in the artistic context in which it was produced. Certain preeminence of intellectual action over individual expression, of intervention in the media rather than creation from within the media, reveals his formation in the environment of conceptualism, to which can be attributed a large part of the composite procedures in his work, such as appropriation, decontextualization, isolation, analysis, confrontation, decomposition, selection, and recycling. With respect to the specific context of video, Muntadas shares with the video artists of the 70’s a harsh critical stance towards the mass-media, represented in those times by the omnipresent television image. However, rather than throwing televisions from the rooftops, destroying them by running them over with cadillacs or simply rejecting them (25), Muntadas organizes his critical posture as a meticulous analysis of the television image and its communication strategies. Towards the end of the 70’s and the beginning of the 80’s, the interest of video artists was diverted toward another consideration: “what element is specific to video?” And, again, the separation of Muntadas from the others is apparent. Because, although it is true that the large majority of artists oriented their search toward the formal values of the video-image, it is no less valid to investigate the context in which this image acquires its meaning as a way of responding to the question. Muntadas observes that if there is something that characterizes video and separates it from the rest of its kindred media, whatever that may be is not necessarily a formal element; in fact, formal investigations have never managed to postulate a definitive element. Video shares its image with television and yet adheres itself to the artistic environment. Something in the logic that governs both contexts must determine this particular position, and the work of Muntadas situates itself just right to get to the quick of this situation. Invited to participate in the program, El Arte del Video (The Art of Video) on Spanish television, Muntadas created Video is Television? (1989), a work whose point of departure, as the title expresses, is to reflect on the supposed specificity of each medium. To this end, Muntadas juxtaposes television programs, films and his own videos, as well as those of other artists, generating an undifferentiated electronic continuum. Some words, in the way of inter-titles, serve as counter-points to the images: video, film, television, image, excerpt, manipulation, context. Suddenly, the images focus on the functioning of a television studio. Finally, we see the multiplication of monitors in a store and a final word in front of them: generic. In the initial segment, the differences between the television, film and videographic images -all forming part of the same video- are practically nil. In addition, it must be taken into account that the video was transmitted by television, so that all of the images became, in a determined moment and context, TV images. This first part constitutes a clear indication of the weakness of the electronic image and its virtual formal homogeneity with respect to other media images, that is, its generic character. The second segment turns to the contexts of production and consumption: the television studio and the monitors lined up in a store -consider the television transmission of the work itself- appear in counter-position to the movie theater or the museum. The images indicate the specific context that determines that we can speak of television and not of video or film. If video exists outside of television, it can only do so by situating itself squarely in the context of its particular form of production and circuits; its originality -if it has any- can only arise from a discursive positioning in relation to the generic. A POET(H)IC OF THE IMMATERIAL. Viewed from the perspective of his video work, it seems almost natural that Muntadas should direct his attention to the internet communication system. Its eruption within the context of contemporary mass-media, was preceded by similar considerations to those of television with respect to its massivity or “democratic access”, adorned with however many “advantages” in comparison with its predecessor: its global access, bi-directionality, and greater offering of individual choices. But what is certain is that these supposed advantages have not freed internet from a multitude of political, social and cultural considerations that have arisen due to its condition as a media with a constantly increasing audience: today, it is being flooded with advertising, tomorrow -perhaps- with program guides. And in the face of the relatively uncontrolled advance of its influence, we have witnessed the first attempts at limiting its proliferation. The File Room, Muntadas’ first project for internet, derives from the context of the debates on the limits and range of the network. Nonetheless, its origin is related to a personal experience. Commissioned by Spanish television, Muntadas worked for two years in the production of TVE: Primer Intento (1989), a work focusing on Spanish television prepared with archive material -from the period of Franco, during which time Televisión Española was the only television network- and footage of its current situation. The images caused a certain degree of discontent among the producers, who decided not to air the program. With this incident behind him, and in the specific context concerning the imposition of limitations on internet, Muntadas created The File Room (1994), one of his most ambitious works in terms of dimension -perhaps comparable only to Between the Frames- focusing on the subject of artistic censorship. The File Room (Internet) (26) is a net space where data is stored concerning censorship in art, from all over the world and throughout all history. The data may be consulted and amended by anyone with internet access -although there is a coordinator who organizes new information- which renders this virtual file a permanent work-in-progress. Albeit in a completely different medium, The File Room (Internet) is not a work apart from the video production of the artist. Until now, Muntadas may not have focused on the subject of censorship stricto sensu, but many of his previous works assume or refer to it through the practice of self-censorship, the manipulation of information, or the obscuring of data. Between the Lines is perhaps the most characteristic example, but it is also clearly visible in Cross Cultural Television -in a sequence in which the transmission of information via satellite is reformulated for its presentation on screen- or in the final spoken segment of The Limousine Project, where the voice of Michelle Wallace reflects on the place of censorship in the media. The significance of the work is reinforced due to the nature of the chosen media. Like censorship itself, The File Room (Internet) occupies a virtual and indeterminate space with the possibility of being updated under deter-mined circumstances; because it is possible to perceive the consequences of censorship, and it is even possible to determine who it is that exercises censorship, but it is never possible to determine from where censorship is generated. If, someday, censorship enters internet, clearly we will never know from where the censorship is exercised inasmuch as we don’t even know from where the network originates or who governs it. With The File Room (Internet), those who were once prohibited from expressing themselves finally gain access to the word, they are released from the periphery and silence, and can occupy a central place in the debate con-cerning the significance of their respective works. As sustained by Robert Atkins, “representation is power; that is, both the ability to represent and the good fortune to be considered worthy of representation. By giving form to what's disappeared, The File Room reminds us -above all- that artmaking remains to be an ethical act”(27). Muntadas’ second internet project is On Translation: The Internet Project (1997), a work in progress at the time this article is being written, which will –in contrast to the previous work- be of limited time duration on internet: it coincides with Documenta X (21/6/97 to 28/9/97), the institution that is producing the project. On Translation: The Internet Project is based on the children’s party game, telegraph: a phrase, originally in English (28), will be sequentially translated into 23 different languages until returning to the original language and beginning the circuit over again until the conclusion of the project. As may be deduced from the description, the final phrase will present marked differences from the original, although it is not necessary to wait until the end to see that after the second or third translation, the phrase is already quite distorted. The linguistic translation is, for Muntadas, a metaphor for many other forms of translation to which we are exposed daily, in particular, those which involve technological systems. He refers, for example, to the transcodification of images and texts by digital systems, the interpretation of one cultural product in the context of another culture, the transcription of a message generated by one medium into another, or the manipulation of genetic codes, all of which form an ever increasing part of our daily realities. All practices of transcription assume an intermediate space (29) between the source and the translation. On Translation is installed in this space in order to investigate the processes that lead from one extreme to the other, and to focus in particular upon the principal inhabitants of this space: the translators. In a previous version of the same work, On Translation: The Pavillion, Muntadas had indicated the fundamental, but at the same time hidden, role played by translators at international meetings where important decisions or resolutions are made that affect masses of people. To the analysis of the mediations there is added another recurring theme in his work: that of the subjectivity of the translator at the moment of deciding what is, according to his criteria, the most “objective” translation. The field of translation is also the environment in which the struggle between dominant and marginal cultural and linguistic communities takes place. The necessity for translations implies an inferior condition, on the part of those who need the translation, in relation to those who have access to original texts without the need for intermediaries. The translation is the privileged territory of the struggle for power between linguistic communities. And Internet is today, one thier fields of battle. Not only due to the superiority of the English language in cyberspace, but also due to the deformation and disappearance of certain linguistic symbols produced by electronic communication systems that cannot handle the characters of certain linguistic systems, among them “español” (Spanish), often written today “espanol”, "espaniol" or “espanhol”. In another of the versions in the series, On Translation: The Games, Muntadas focuses upon these hierarchical questions, working with inversions related as much to the thematic element of his work as to the particular context in which it was produced, that of the 1996 Atlanta Olympic Games: the center of a gallery was occupied by a translation booth inside of which was projected the image of a person speaking in Vietnamese, the least represented language at the Games. To gain access to the text, the viewers had to use headphones that transmitted the translation, something relatively uncommon for North Americans, who are accustomed to being addressed in their own language. With these inversions which bring the marginal -the Vietnamese language- and the hidden -the translation booth- literally to center-stage, spatially and conceptually, Muntadas again indicates the mechanisms which render a public spectacle, such as the Olympic Games, into the privileged environment for the exercising of differences, which is nothing more than another face of the weilding of power. The end of the millenium finds us immersed in the discourses of globalization and a new world “order” based on the open expression and communication between peoples. The File Room and On Translation remind us that neither one nor the other has the characteristic of being very open, although this order maintains the characteristic of being an order. Duguet, Anne Marie; Muntadas (dir). Muntadas: Inter-ROM. Paris: Lab Productions/Centre Georges Pompidou, 1998. (1) Magritte, René: Ecrits Complets, quoted by Guido Almansi in the prologue to Foucault, Michel: Esto no es una Pipa, Anagrama, Barcelona, 1993. (3) The spot showed the phrase "This is not an Advertisement" with the word "not" intermittently flasing on and off. The phrase was interrupted sporadically by the fleeting appearance of the words: speed, fragmentation and subliminal. Finally, the letters expanded in size until the text on the screen became totally fragmented. (4) The sub-headings added to the text are "appropiated" from the works E/Slogans (1986) and Slogans (1987). These works are referred to further on in the text. (5) Quoted by Mark Mendel in an untitled text in Muntadas: Media Landscape (catalogue), The Addison Gallery of American Art, Andover, 1982. This thought exposes the eminently "open" character of Muntadas' works and the requirement that the viewer complete the circuit. (6) Antin, David: "Video: The Distinctive Features of the Medium" in Hanhardt, John (ed): Video Culture: A Critical Investigation, Visual Studies Workshop Press, New York, 1986, who adds: "What is called news on television is a chain of successive, distinct and structurally unrelated narrations called stories. These average from thirty seconds to two minutes in length, are usually presented in successions of three or four in a row, and are bracketed between packets of commercials from one to two minutes long. The ' full ' story is built very much like a common commercial"
(7) Bonitzer, Pascal: "Décadrages" in Cahiers du Cinéma, N° 284, january 1978. (8) Derrida, Jacques: Positions, University of Chicago Press, Chicago, 1981. (9) Derrida, Jacques: Márgenes de la Filosofía, Anagrama, Barcelona, 1991. (10) Lipovetsky, Gilles: La Era del Vacío, Anagrama, Barcelona, 1994. This consideration is not very different from that mantained by Fredric Jameson, for whom fragmentation is responsible for the waning of the affections that accompanies the passage from modernity to post-modernity, where "the alienation of the subject has been substituted for by the fragmentation of the subject" (Ensayos sobre el Postmodernismo, Imago Mundi, Buenos Aires, 1991). (11) Heiddeger, Martin: The Question Concerning Technology and Other Essays, Harper Torchbooks, New York, 1977: "The fundamental event of the modern age is the conquest of the world as picture. The word ' picture ' [Bild] now means the structured image [Gebild] that is creature of man's producing which represents and sets before. In such producing, man contends for the position in which he can be that particular being who gives the measure and draws up the guidelines for everything that is". (12) Muntadas, et.al. : En Torno al Vídeo, Gustavo Gilli, Barcelona, 1980. (13) This construction of meanings clearly excedes the limits of the individuals to whom the information is directed. 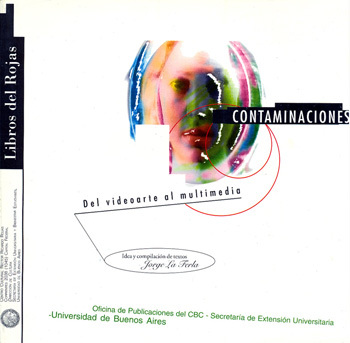 As Félix Guattari maintains, "the technological machines of information and communication operate in the heart of human subjectivity, not only in the seat of their memories, their intelligence, but also their sensibilities, their affections and their unconcious illusions" (Caosmosis, Manantial, Buenos Aires, 1996). (14) Bretch, Bertolt: Escritos sobre Teatro, Nueva Visión, Buenos Aires, 1983. (15) For Gianni Vattimo, as well as for Muntadas, this media filtered reality is the only reality to which we have access in our times. Says the Italian philosopher: "Reality, for us, is really the result of an intersection, of the 'contamination' (in the Latin sense) of multiple images, interpretations and reconstructions that compete with each other, or that, in some way, without 'central' coordination whatsoever, distribute the media" (La Sociedad Transparente, Paidós, Barcelona, 1996). (16) Virilio, Paul: Estética de la Desaparición, Anagrama, Barcelona, 1988. (17) Notes on the project distributed in a free publication -Taktik- on the occasion of the presentation of the work in Marseilles. (18) According to the classic definition by Marc Augé: "If a place can be defined as relational, historical and concerned with identity, then a space which cannot be defined as relational, or historical, or concerned with identity will be a non- place" in Non-Places: Introduction to an Anthropology of Supermodernity, Verso, Londres, 1995. (19) Foucault, Michel: Vigilar y Castigar, Siglo XXI, México 1994. The italics are mine. (20) Foucault, Michel, ibidem. The italics are mine. (21) Foucault, Michel: Microfísica del Poder, Ediciones de la Piqueta, Madrid, 1992. (22) An analysis of these polarities in the work of Muntadas can be found in Bonet, Eugeni: "Muntadas: Deuxiéme Tentative" in Muntadas: Chimaera Monographie N°8, Edition du Centre International de Création Vidéo, Montbelliard Belfort, 1992. (23) The prizes were an automobile, a trip to Hawaii, and a Hollywood audition. The "living billboard" had such a great repersussions in the media -Johnny Carson is even shown mentioning the event on his program at the end of the video- that it almost seems logical that living atop that billboard could be a stepping stone to stardom. (24) The images are: the tracks of an electric train for the dealers and galleries, the Tokyo stock exchange for collectors, mechanical stairs for the museums, a highway for the guides, a sea rocking with weaves for the critics, urban organization showed from an elevator for the media, and mechanical and manual labor ina a factory for the epilogue. (25) In actions that the author named "dé-collages", Wolf Vostell reacted against television by burying switched-on monitors or threw them from the tops of apartment buildings. The group Ant Farm, organized a performance in 1975, "Media Burn", which consisted in driving a cadillac through a wall of television sets. (27) Atkins, Robert: "Meditation on Art and Life in the Media Landscape" in Muntadas: Des/Aparicions, Centre d'Art Santa Mónica, Generalitat de Catalunya, 1996. (29) "Basically -explains Muntadas- the translation project emphasizes the between -the act or individual in the middle of the communication process, the precess of emiting/receiving a message" (Project notes in the catalogue of Muntadas. On Translation: The Games, The Atlanta College of Art Gallery, Atlanta, 1996).